If you have been injured by a drunk driver, you may have a right to seek compensation from sources other than just the drunk driver. Massachusetts and many other states have dram shop liability laws, holding any business that serves alcohol responsible for overserving an intoxicated individual. The Boston personal injury lawyers at Breakstone, White & Gluck are experienced in representing individuals injured in motor vehicle accidents and dram shop liability cases. If you have been injured by a drunk driver, contact us today at 800-379-1244 or 617-723-7676 for a free legal consultation. You can also use our contact form. What Types of Businesses are Considered Dram Shops? A dram shop is any business that sells alcohol. This includes bars, restaurants, taverns, nightclubs, social clubs, liquor stores and sporting venues. What are the Responsibilities of a Dram Shop? Under M.G.L. c.138 § 69, no alcoholic beverage shall be sold or delivered on any premises to an intoxicated person. Bartenders, servers, managers and owners have a responsibility to observe slurred speech, rowdiness and other behaviors associated with intoxication. Owners are also required to provide proper training for staff to monitor behavior and address intoxicated patrons. 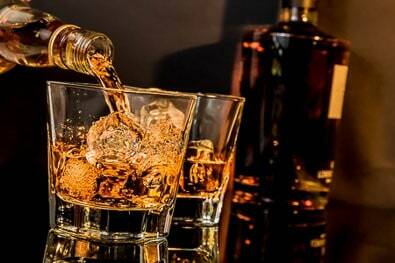 What Compensation is Available for Dram Shop and Liquor Liability Claims? When someone leaves a bar or restaurant under the influence of alcohol and causes a car accident, both the driver and the business can be held liable for injuries and deaths that result. In Massachusetts, dram shops usually carry liability insurance to cover accidents caused by intoxicated patrons who leave their establishment. Individuals injured or families who have suffered the loss of a loved one can seek compensation from this insurance, as well as from the driver's insurance policies. Damages may include medical expenses, lost earnings, scarring and disability, loss of enjoyment of life, emotional distress and pain and suffering. In wrongful death claims, damages may also include loss of companionship and loss of support. If you have been injured in a drunk driving accident, it is important to contact an experienced Massachusetts liquor liability lawyer. Massachusetts has a Statute of Limitations restricting how long you have to file a claim against a negligent party. An experienced Boston dram shop attorney can preserve your legal rights and launch an immediate investigation. The attorneys of Breakstone, White & Gluck have over 100 years combined experience representing those who have been injured by negligence, including those involving liquor liability and car accidents. Contact us today for a free legal consultation and learn your rights for seeking compensation. Call 617-723-7676, or 800-379-1244, or use our contact form.